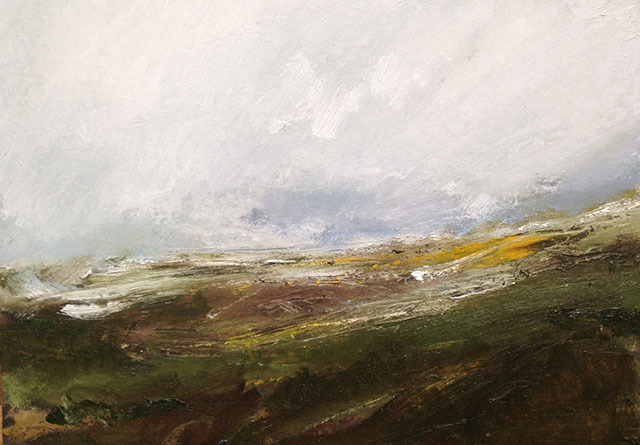 Maria Floyd is a landscape painter who studied at Goldsmiths College, London and now works from her studio in the heart of Dartmoor in Princetown, Devon. 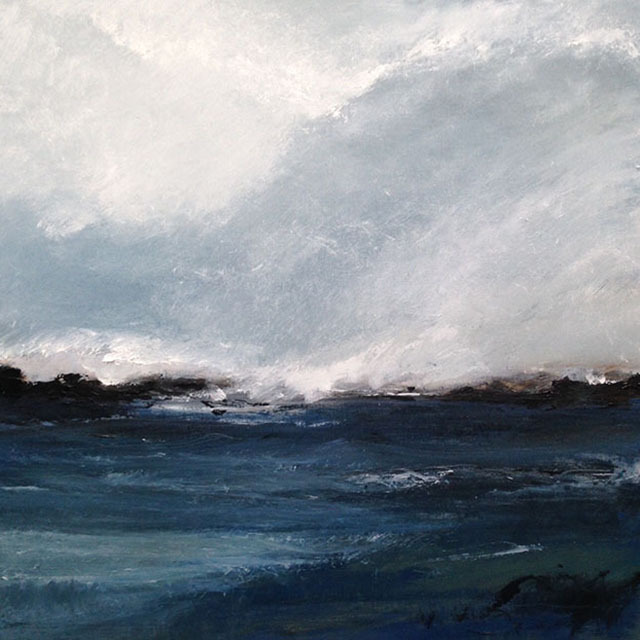 Some of Maria’s seascape paintings can currently be seen in the Hidden Kitchen in St. Ives, where they will be exhibited until early May. 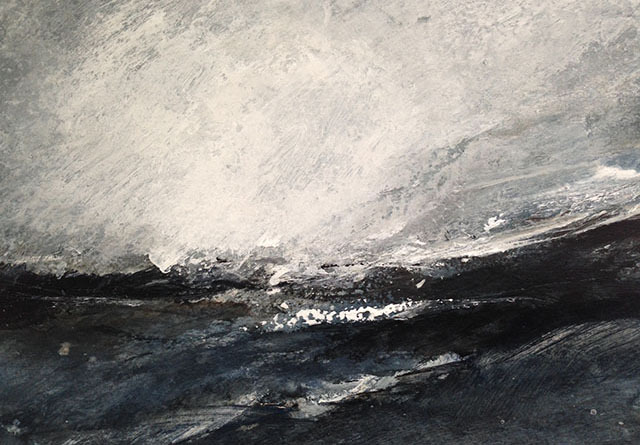 She draws her inspiration from the surrounding beautiful moorland and from a longstanding connection with the dramatic coastline of Cornwall, where she has been working for a number of years. 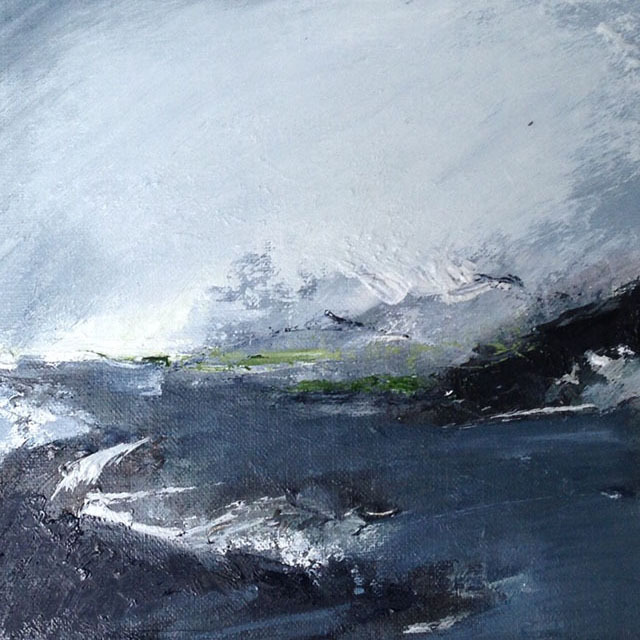 Maria is more often to be found outside making a direct response to the landscape using a language of expressive mark making. 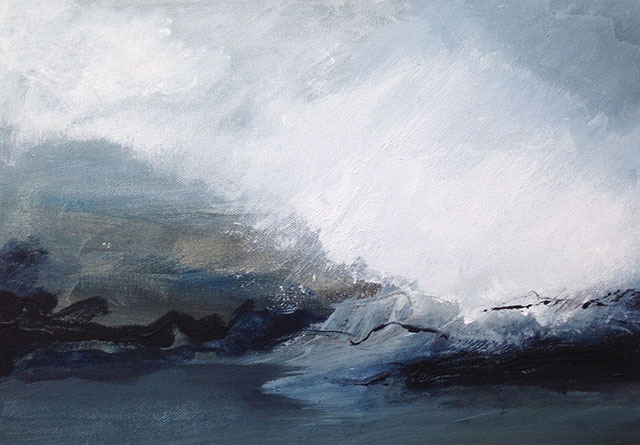 Studio paintings are an extension of these studies and maintain the energy and mood of the sketches, capturing the power of nature and the essence of the sea or the wildness of the landscape. 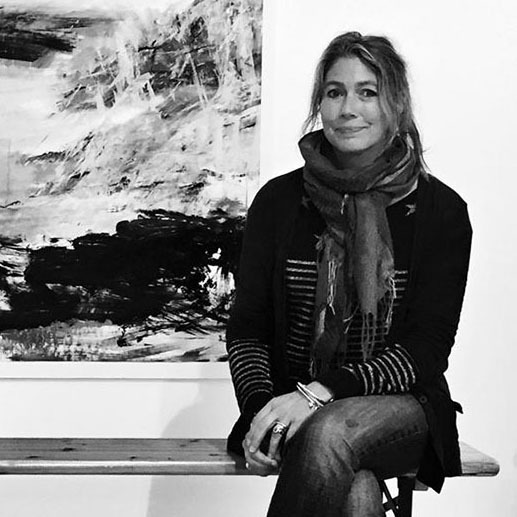 Maria’s work has been shown regularly in Cornwall and Somerset. 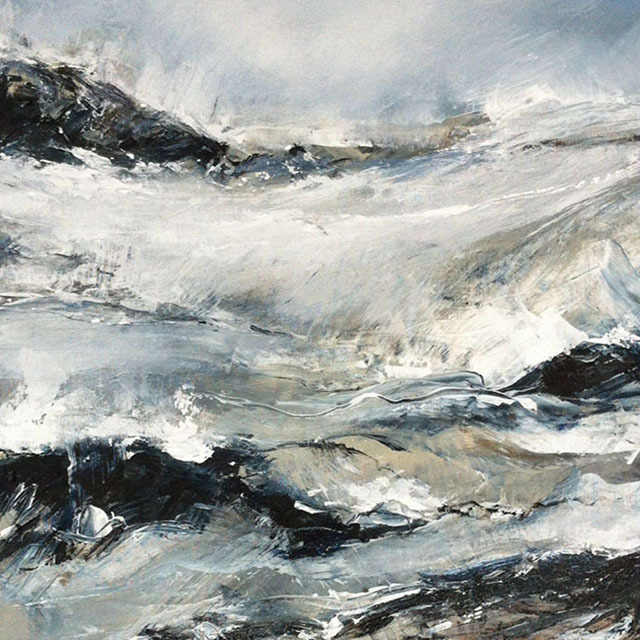 In 2016 she was shortlisted in the seascape category of the Wildlife Artist of the Year Competition, and exhibited in the Mall Galleries, London. For more information, and a gallery of recent work, visit mariafloydart.com. Maria can also be contacted via her website. 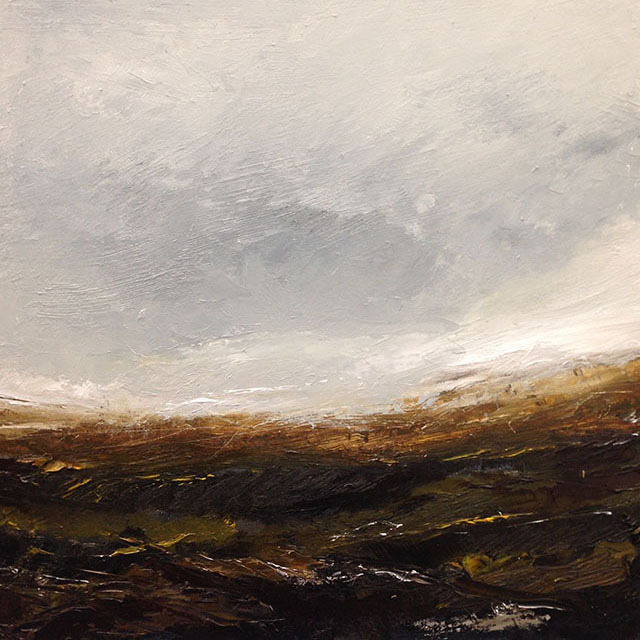 For exhibition details and opening hours contact The Hidden Kitchen.